Choosing the right real estate agent to hire is half the battle when it comes to selling your house. Your agent will guide you through every single step of the way, so it’s imperative you choose an agent who knows their stuff, who communicates well, has adequate experience and doesn’t have exorbitant rates. 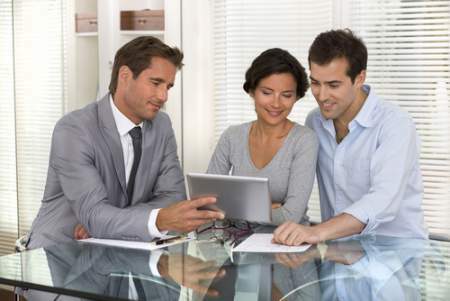 Here are some tips for finding the right real estate agent to sell your property. First, ask friends, relatives, associates, and others you trust if they have an agent they can recommend. We tend to do business with people we know or with people our loved one’s trust. You can also turn to search engines or social networks. Regardless of how you’ve discovered agents, research their background, check out the ratings, read the reviews. It’s a good idea to avoid working directly with friends or family. There’s a reason society suggests that business and pleasure don’t mix. When you work with a family member or friend, you risk damaging the relationship. Not all homes are created equal. Some residences are single family homes, others are condominiums, and some are specialty homes such as waterfront property or luxury houses. The agent you hire should be an expert in the type of house you’re selling, and also with the area in which your house resides. Skilled agents will use neighborhood nuances and community resources as selling points when marketing your house for sale. Ask the right questions. Ask potential agents about the sales of their last three houses. What was the original asking price of the last three homes sold? What were their final sales price? How long did the homes remain listed for sale on the market, and how many price reductions occurred? This can give you an idea of how successful the agent is, especially when determining the price for your home. 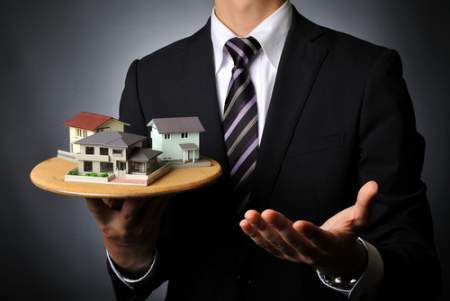 What is the marketing plan the agent intends to employ to aid in the sale of your home? Will there be a sign in your yard? Are there printed materials? Does the agent have a database of qualified buyers with matching criteria that he or she will contact? Know ahead of time if showings will be conducted in private by appointment, if there will be an open house, or if there’s the chance people will be randomly cruising by your house to try to sneak a peek through the windows. Beware of agents who promise the highest price for your home, or the lowest commission. Some agents imply a higher price than what’s attainable, which means the house will stay on the market for longer periods of time, and may experience multiple price reductions. And agents who charge ridiculously low commission rates may lack experience or be desperate for clients. Read agent contracts and broker agreements. Pay attention to every word and ask about items you don’t understand. You may also want to ask about the exit strategy. If your relationship isn’t working out and you decide to “break up” with your agent, you may be unpleasantly surprised to realize there’s a stipulation in the contract that prevents you from firing the agent within a certain time frame. Many agents are willing to negotiate the exit strategy but ask in advance to be certain. In interviewing agents, assess whether or not the agent answers your questions efficiently, makes you feel comfortable, and has a personality you like. Although you’re not taking applications for best friends, you will be working closely and for fair amounts of time with the agent you hire. Define your expectations. How often do you expect to get updates from your agent? How long does it take them to reply to messages? What is the marketing strategy? How will the agent advise you prepare your home for showings? It’s better to be up-front and define boundaries and expectations than it is to cross those bridges when you come to them. When you find a qualified agent who works efficiently, professionally, and compassionately to help you sell your home quickly and for top dollar, take the time to write a review on their website or social networks, give them a positive rating, and be prepared to hand out that agent’s name and number when someone you know asks who you know in real estate.